Oh my, how motherhood changes you! Honestly this was my biggest fear when my husband and I started trying for a baby. I was one of those types that actually made a checklist trying to weigh the pros and cons beforehand. It is almost embarrassing to admit how much I worried (I have alwasy been a worry wart, my mom says I worry enough for the whole family) but my biggest fear turned into my greatest blessing. Maybe you are one of those lucky girls who knew from the start you wanted to become a mother. But if you are anything like me, you love your life as it is and wonder if motherhood will stop you from doing the things you enjoy. I am not going to sugarcoat the answer to this question. Your life IS going to change. You will definitely not have as much free time as you once had. Your relationship will change. Your friendships will change. Your daily routine will change. Motherhood will be the greatest adventure you ever have. 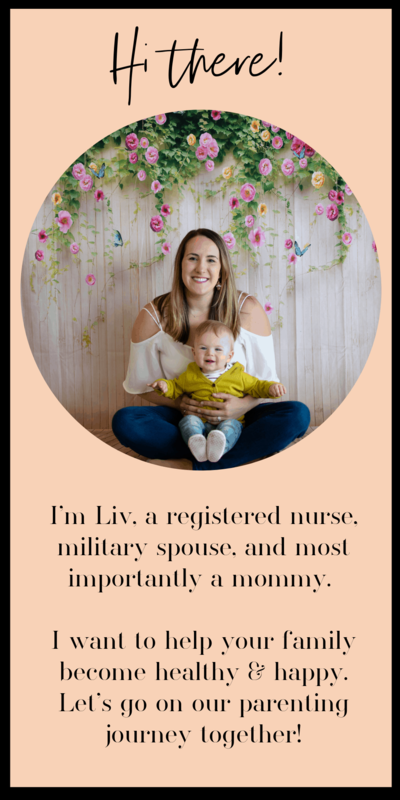 The first thing I learned (and learned it well) after becoming a mother is there are two ways to view every major life transition. From the glass half full perspective, or the glass half empty. Which lense do you want to see it through? If you have chose the glass half full lense, then this post will encourage you! I am going to describe many, although not all, of the ways motherhood changes your life for the very best! I have really great news for you. If you are capable of bearing a child, you are also capable of being a fantastic multitasker. Even if you have struggled implementing this skill in the past, you will now have around 257 chances a day to practice. Pretty soon you will learn how to breastfeed, order groceries from Amazon Prime, eat a snack, talk on the phone to your mother, and make your bed simultaneously. In fact the longer you are a mom, the more efficient you will be with your time. What you once accomplished in a week you will now be able to tackle in the one single afternoon your mother-in-law volunteers to come over to play with her grandchild. Just wait mama, there is an unstoppable force inside just waiting to be unleashed! When I think back to the pre-mom version of myself, I can’t help to compare her to a doormat. Speaking of doormats, I almost paid 12K for a new front door from a company that came soliciting at my house. I signed paperwork, gave my credit card, and everything. I felt so bad after the guy gave me his whole spiel. Thank God they had a 72 hour cancellation policy and I came to my senses. Nowadays, I won’t walk out of a store without getting a price match. It’s funny how now that I am a momma bear, I have this newfound maternal power that gives me the confidence to trust my instincts and not let anyone take advantage of me. I used to try so hard to not rub anyone the wrong way. I tried to be politically correct and agree with everyone, or at least not boldly disagree. If you are also a passive person and don’t ever see that changing, trust me, it will. You have a baby bear to protect and that urge will burn more wildly inside of you than the desire to protect everyone else’s feelings. I’m not saying you are going to turn into 2007 Britney and shave your hair like you just don’t care or anything. But when people try to manipulate you, you will see through it. There has been many times where people expect something out of me that I am not prepared to give. Before motherhood I would sacrifice my own time or desires to fill these needs for other people. Now that I am a mother, I find it more natural to lay down my own boundaries for what am willing to give to others outside of my family. I you were one of those girls in high school that didn’t manage to get in with the popular kids, your world is about to change. Motherhood has a way of breaking down the barriers that keep us females from connecting with each other. I have gotten more phone numbers at the mall play area than I ever had in all of my dating years. You will make friends in unexpected places with unexpected people. If you keep an approachable demeanor while you are out and about, you will find new friends wherever you go. Not every friend you make will be a lifelong buddy. In fact motherhood has a way of stealing so much of your time, you will only make it for those that are worth it. With those people that do make the cut, you will share some of the most memorable moments of your lives together. You will learn to lean on each other in a way you never could before. Some of them will likely even see all your body parts! I have a handful of gals that I know will be with me for the rest of my life. Not all of them have babies yet so when I was pregnant I had a heart to heart with a few of them one on one. I explained to them that I would likely not be as good of a friend as I used to be and it isn’t because I don’t want to be. I pretty much apologized ahead of time for any scatterbrained or absentee tendencies for the next few years. 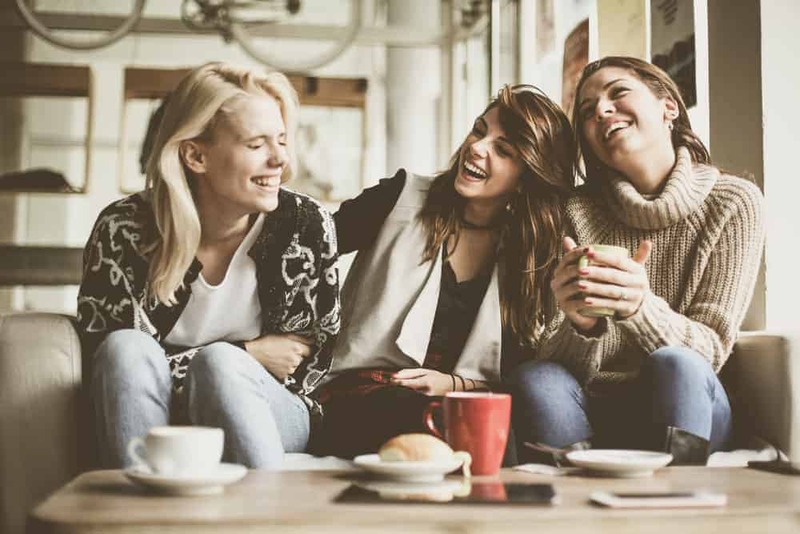 With the women that understood this and didn’t put pressure on me, our friendship has deepened and strengthened into something that will stand the test of time. There is no way around it. You will learn how to function on 3 hours of sleep. You will patiently pick up 37 individual peas and wipe sticky juice from the wall for third time today. You will listen as your baby girl cries over her feelings getting hurt by a boy at school. You will fit your own personal development and desires in the margins of your life. You will read a million parenting books. You will worship Rachel Hollis. You will stay up all night nursing your sick baby to health. The call of motherhood is loud and intimidating, but somehow you will be ready and mentally equipted. Before I was a mom, my husband and I were DINKs. That means we were dual income, no kids. We were in our 20s so naturally, we were immortal. We had just enough money coming in to not keep any of it. We thought we could solve every problem on our own. The moment I gave birth to my son, God gained another faithful companion. I quickly realized that there was no earthly way I would be able to accomplish all of the things with this new responsibility. There was no way I could be a worthy wife to my husband, a happy stay-at-home-mom, successful in my career, travel the world, stay in shape, make daily home cooked meals, keep the house clean, be a good friend, or be there for my family on my own. The days I try to figure it all out I always fail. You will learn to lean on God in motherhood. You will have moments where you know, there is NOTHING more you can do. Just ask Him to intervene for you. He knows the desires of your heart. The sooner you accept that, the sooner He will start working powerfully for you. Did you know that the moment you become a mom, it’s fully acceptable to wear the same thing everyday? In fact you can pair everything with black yoga pants. If you haven’t yet discovered thrift stores, you are about to embark upon a whole new joy in life. There are other moms out there who never lost those last 5 pounds from pregnancy and donated all there amazing clothes so you could buy them for 0.99 cents! Maybe this won’t resonate with you if you are a fashionista. But if motherhood can change me from a Pottery Barn, Anthropologie shopping kinda girl to a thrift store enthusiast, I am quite sure you will find some creative ways to save money on clothes! Through the next 18 years, you will wear so many hats. You will learn things you never thought possible. Like how to make homemade baby lotion. How to be a better steward of your money. Maybe you will take a break from the workforce and do more homesteading. Maybe you will go back to school for an advanced degree so you can work less hours but make more money. You will be a master chef, an artist, a comedian, a nurse, a taxi driver, a travel agent, and a therapist. Motherhood will take your life on all kinds of twists and turns and just when you think you knew the road, it will change again. This forces you to become more flexible and to roll with the punches. I don’t know about you but I wasn’t born a patient person. And honestly, modern culture doesn’t help cultivate that very important trait in us anymore either. I mean, we can order wine online now and have it delivered to our house in an hour! Related: Have you had too many glasses of wine after a long mommying day? Here’s some natural remedies to perk you right up! Motherhood has tested my ability to remain calm more times than I can count. This is a skill that you will learn. You must learn it if you want to raise emotionally intelligent humans. I am not saying patience will be easy skill to master, but it will be valuable. It will spill over into other areas of your life and make you more successful. I honestly don’t know if I would have learned to be patient without becoming a mom. Yes there are some lonely days in motherhood. Especially in the beginning when you are feeding around the clock and this person you created isn’t giving much back. But as your children grow and start developing their personality, interacting with them will bring you so much joy. I know right now it’s hard to imagine this if you have never really enjoyed interacting with children. I was one of those people. I just didn’t naturally feel drawn to kids and playing with them wasn’t high on my priority list. Now that I am a mom I can see how the cliché, “it will be different when it’s your kid” holds true. I could spend everyday with my sweet boy. You too will fall in love so fiercely with your child that just looking at them will bring your immense joy. Mediocracy doesn’t cut it anymore when it comes to your precious child. For me it was like a light switched on. I wanted to be better in all categories. My biggest area of growth has been taking my family’s health into my own hands. I now rely on natural medicine and quality nutrition to promote an abundant life for us. Even as a registered nurse, I stay away from the medical system as much as possible. I can’t predict how you will focus your area of growth as a mom, but I can guarantee that you will strive to be the best version of yourself. I decided to save this for last because it deserves the most attention. Above all, you might be worried how becoming a parent will change your marriage/relationship. If you do a quick Google search and scroll through the pages, you will find a lot of information on why/how parenthood degrades marriage. I can tell you from personal experience that your relationship will change. Yes, there will be some days where you feel like your spouse doesn’t understand you and isn’t meeting your needs. There will be times where you will feel disconnected. But please, don’t listen to the latest divorce stats or to Dr. Google. All is not lost and your marriage isn’t destined to doom and gloom now that you are a mommy. If you can, just for a moment, let’s zoom out and look at your life. Now think back to those first few months of dating. Remember how happy and carefree you were? Those times will come again, I promise. Ok now back to the present. Parenthood is damanding and you will find that you have less time for each other than you need. When you finally get to have a date night, you may not even have the energy to get dressed up and go on one! My point is, marriage will not always come easy. But this will be true whether or not your decide to have kids. If you can keep this in mind then becoming a parent will strengthen your relationship even more. Once you are on the other side of your 18 summers, you will have an eternity of beautiful moments to look back on. Every trial and memory made will add depth and meaning to your marriage. I mean who else can appreciate your little boy asking to watch MoOoOoAnna with you on Saturday mornings? Who else will rub your back after you were breastfeeding all day long? 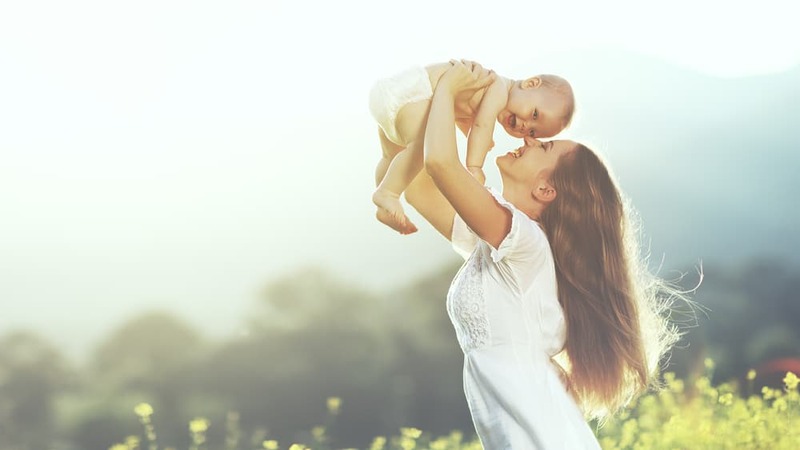 Yes, motherhood will challenge your marriage. But you can make a choice today to not let it destroy it. To the best of your ability, remind yourself everyday to nuture your spouse too. Ask your spouse what you are doing right and what is contributing to his happiness. Communicate honestly, openly, and often. 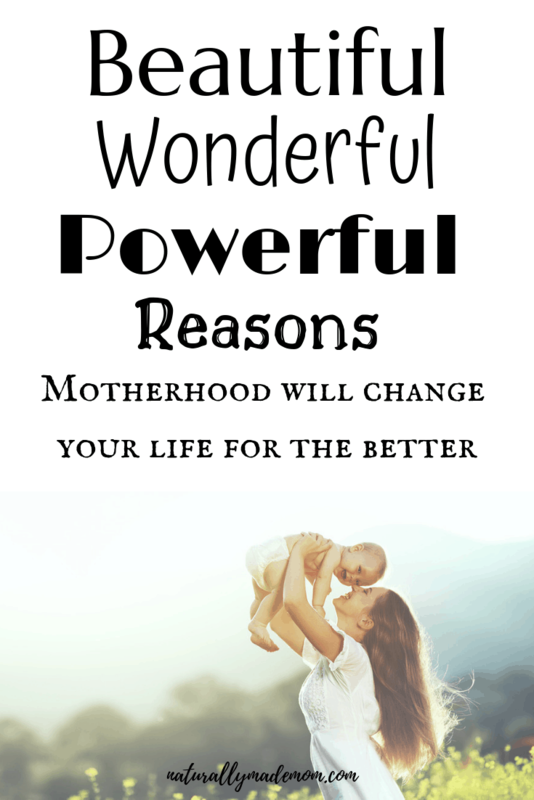 There are so many more ways that motherhood changes you. It is a beautiful journey. You won’t regret going for it, but on your death bed, may regret not. Join me and 50 other moms in a 7 day happiness challenge! Over the next 7 days you will receive some actionable steps towards becoming a happier version of yourself. Welcome to the positive parenting community. We are thrilled to have you!